It is an exciting time to be a nurse! There are so many options for nurses including owning a business. Although most nurses do not see themselves as entrepreneurs, nurses are educated in a scientific method of problem solving and resolution that equips them for a successful transition into an entrepreneurial role. It is an exciting time to be a nurse! There are so many options for today’s nurse and one area that is growing is nurses interested in becoming business owners. What is creating this need for Plan Business? Well one thing is that the number of nurses employed by hospitals is decreasing from what it has been for decades. Today, about 58% of nurses are employed by hospitals compared to 68% in 1980. Many nurses, over 30%, report being burned out and highly dissatisfied with their jobs. The dissatisfaction relates to feelings of frustration, being overwhelmed with new technology (equipment and EMRs) and overworked due to higher severity of illness of the patient load. Nurses have high levels of anxiety over jobs being eliminated and potential lay-offs due to restructuring. There is a large number of nurses, 900,000, over the age of 45 looking to possibly reduce hours but not their income. And for many nurses, Plan A no longer serves them or the nurse that they have become. There are huge demands that can be supplied by the nurse business owner. Elder care services, called the silver tsunami, will only increase through 2030. This demand has a variety of businesses well suited for nurses from home residential care facilities, day care services, non-medical in home care, geriatric case management and geriatric patient advocacy type services and programs. Educational programs for family caregivers, caregiver training programs and respite care. Technology is breaking all kinds of boundaries and nurses interested in health information technology, telemedicine and telehealth have a plethora of choices in independent consulting including Documentation Specialists and RN Medical Bill Auditors. Nurses that enjoy teaching can create continuing education units and become CNE providers in any number of specialties. Public Health education is so critical today as patients are released sooner and sicker from the acute care setting. Home Health Care is booming and Wellness Programs are on the rise especially in the corporate setting. Nurses are Authors, Speakers and Consultants in health, wellness and social settings. In fact we have many nurses that are bloggers, podcasters, columnists and social media experts like Nurse Beth! If you would ask most Nurses if they see themselves as entrepreneurs I think the majority would automatically say no; but I believe that because they are not seeing themselves clearly. Nurses make great business owners because they are educated in a scientific method of problem solving and resolution. Nurses can think critically, prioritize and organize. Nurses are compassionate, dedicated and professional. While entrepreneurs have their business plan for success, nurses create care plans envisioning the optimal patient outcome. The tug and pull of business responsibilities requires the entrepreneur to wear ten hats at the same time and that is just a routine day for most nurses in a patient care environment! From my own experience, I adapt the Nursing Process and Maslow’s Hierarchy of Needs to every business problem I encounter. I was able to navigate from being a staff nurse at the bedside to being a CEO in corporate boardrooms. I was always happy to tell folks that asked about my business acumen that it was my nursing experience that was the foundation of any success. Michael Gerber, the author of The E-Myth, believes that every single man and woman has the entrepreneurial instinct, desire and gift. I agree with him. Most all constraints are self-imposed and our assumptions of what a nurse can be must continually be challenged. There are more successful nurse entrepreneurs today than there was a generation ago. 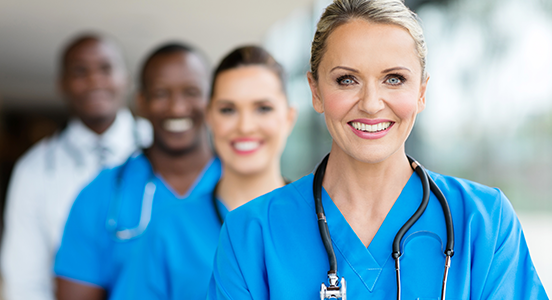 There are many role models that nurses have available so they can accelerate their learning curve and talk with other nurses that have succeeded in areas they are interested in. Nurses can do anything and owning an entrepreneurial mindset begins changing the way nurses look at using their nursing experience. Have you thought about starting a business or are you looking for a unique nursing career alternative? The National Nurses in Business Association (NNBA) is hosting its annual Nurse Entrepreneurship & Career Alternatives Conference October 14-16 designed for nurses that are thinking about starting a business, those already in business and those looking for career alternatives. This might be just the thing to help you set your entrepreneurial dreams in motion.